This is one of the most useful apps in the list. As the name suggests, the app is a caller ID detection service. This app is far better than TrueCaller, both in terms of the service (Holaa is faster in recognizing the numbers) also, the app uses way lesser RAM for it’s processing. Lightbox is a photo sharing platform just like Instagram. But it has an additional feature that no other apps do. You can turn your Android device into a handy Lightbox for easily viewing slides, photo negatives and X-Rays. Great for checking your 120/220/620 Lomography (Lomo) negatives. Maps are something that most of us use on a daily basis to get to places. HERE Maps is one of a kind service that is easy and faster than Google maps. This service was initially started by Nokia for it’s Lumia series smartphones. It was the first app that featured an offline map option. Most of us have multiple email accounts – may it be for personal or professional purposes. It is always hard to have a glance at all of them at ease without much hassle. Well, here is CloudMagic that does an amazing job in managing multiple mailboxes. Llama uses phone masts to determine your location, so that you can adjust your phone’s ringing volume, ringtone and vibration depending on where you are as well as the time of day. Llama provides you with sound profiles so you can quickly switch between quiet, loud, silent and normal sound settings. You can create events and home screen shortcuts to manage your sound profiles and more. 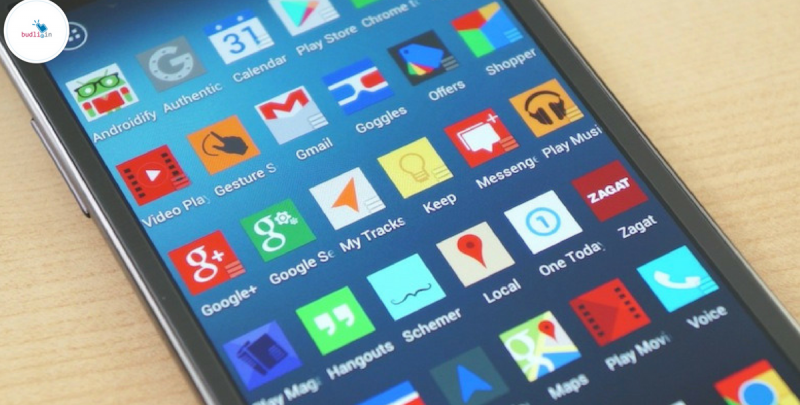 That was the list of top 5 most underrated android apps. What do you think about these apps? Are they worth it? Comment and let us know. Do you own a smartphone? Thinking of buying a new one? Then we have a solution for you which is cheaper in price but high in quality. They are called refurbished smartphones. These smartphones are not like the used mobile phones. These are different! How? Refurbished smartphones come with a warranty and the device comes in full working condition where as these benefits are not present on the second hand phones. We budli.in are the leading marketplace for refurbished products in India. We have a huge inventory of products that you can choose from. Check out budli.in and choose your next best smartphone.